Undoubtedly, it’s only worth meeting an appraiser if you can recuperate the cost of the appointment. This is why lower income individual should opt to do the appraisal research themselves. This is a lot easier than it sounds. In New York and most of the continental US, Craigslist and eBay dominate the market share of all online classifieds. If you elect to do business through a jewelry dealer or pawnbroker, but make sure that you do your homework! Consumer review websites will give you a good sense of the reputation of diamond buyers in your local community. However, even if you do your homework, the system will always be full of cheaters. Many of these businesses will create fake reviews or hire so-called reputation management companies to do it for them. This makes it very difficult to discern if the feedback is indeed authentic. One of the best measures you can take is double checking whether a pawnbroker or diamond buyer has a BBB rating. This is short form for better business bureau; a stringent non-profit ratings organization. It objectively evaluates business based off of their own self-regulatory practices and initiatives. As one of the hardest minerals on the planet, the diamond is noted not only for its opulent beauty, but it’s physical toughness. However, just because a diamond is forever doesn’t mean its condition is as well. Everything on earth deteriorates and neglect will lead to wear and tear. Ultimately, the condition of the diamond will be reflected in the price tag. This is one of the main reasons why people pay for appointments with accredited jewelry appraisers. If you do decide to book an appraisal session, ensure that the jeweler develops a strategy to price it not only according to the current market but other trends and variables. If the appraiser is competent in such strategic resale, the consumer will usually see a decent return on their investment. Pricing without any strategy tends to lead to wasted time, especially in a down market. Regardless of your financial situation, everyone can agree that the hours spent posting ads that got no replies would have been better spent exercising. Indeed, we believe that selling your used jewellery in the New York and tri-state region can be a breath of fresh air. Unlike diamonds, times of dirt cheap mortgages and excessive leveraged investment schemes certainly won’t last forever. It’s no wonder that hundreds of thousands of Americans seek to exchange their Diamond jewelry for cash on an annual basis. In addition to Diamond rings from divorces, it’s a common occurrence for families to sell their cherished heirloom antique jewelry. This is often a sacred right of passage passed on from mother to daughter. While giving up part of your legacy may seem unpleasant, nothing is worse than getting chased by creditors. It’s a great idea to prepare yourself for economic hardship and learn how to get the compensation you deserve from selling Diamond jewelry in NYC. While you may have no choice but to cut down on luxury items in the wake of economic hardship, selling used diamond jewelry shouldn’t have to be humbling experience. In fact, we believe it can be quick and enjoyable, provided you’re armed with the right knowledge. There are multiple options for selling your used jewelry.Getting the most greenbacks isn’t the only important variable for the consumer; some buyers may be easier and quicker to deal with or more trustworthy. If you are in a hurry to get rid of your jewelry, the retail route may be tempting. Diamond buying businesses are ubiquitous in almost any main street or shopping centre in your local city or township. However, it’s important to bear in mind that excessive markups can be avoided by dealing with a credible buyer. 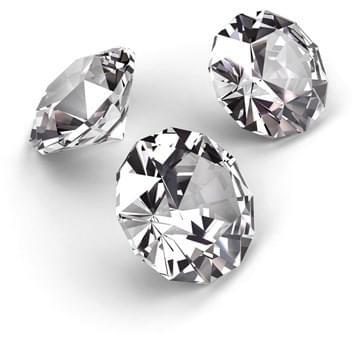 It’s a no-brainer that people who have special industry connections will end up getting the best deal on selling their used diamond jewelry. It’s important to bear in mind that jewelry buying is a relatively competitive industry, especially in New York City. This is why consumers should be weary of the various marketing gimmicks that pawn shops are other businesses will use in their advertising. As cliché as it might sound; if something sounds too good to be true, then it probably is. While you may think you are a savvy consumer; think again. One of the latest crackdowns of the FTC involves paid fraudulent reviews. This could include any medium from Yelp reviews to video testimonials posted on Youtube. There’s no telling whether those reviews on Google Plus or Yelp are from real consumers or paid agents who are hired by the business. One of the best ways to get a feel for a business’s reputation is to ask around. Talk to local townspeople, baristas, bartenders, or shopkeepers in the area. Chances are at least one in six local citizens have a friend or family or have acquaintances that knew someone who visited the jewelry buying business in question! If you ask enough people, you will inevitably get unbiased and perfectly honest feedback which will enable you to make an informed decision. Like diamonds, doing business the old fashioned waywill never go out of style! They say diamonds are a girl’s best friend. This may be true, but everything changes when your dining table turns into an ever-growing mountain of bills and debts. Luckily, diamond selling is comparable to the lucrative gold buying industry. There is no question that diamonds are literally and financially one of the most solid investments you can make. However, before you rush out to your nearest dealer it is imperative that you do sufficient research beforehand. Before you venture into the streets of Manhattan or Brooklyn, it’s a good idea to read online reviews of various businesses. On sites such as Google and Yelp, consumers can write their own experiences with various jewelry buying businesses. While there are nitpickers, it’s a good idea to steer clear of places that have overwhelmingly negative feedback. The Gold Rush put Canada’s Yukon territory on the map. Now, you don’t have to venture through uncharted territory with your entire life in a duffel bag to strike it rich. The best opportunities are in your own backyard. Whether you live in Jersey City, Long Island, Brooklyn, Manhattan, or the far flung leady suburbs, the Diamond rush will never end. This is because prices for diamonds have fluctuated by almost half their initial value within the period of only one year. It’s understandable that people have emotional detachment to their diamond jewelry. However, consumers should recognize that this usually contributes to inflated value and expectations for what they can actually fetch on today’s market. Many people fail at selling their jewelry because they price it too high; it’s that simple. An appraiser will give you an objective analysis of the stone’s quality. While the carat and condition of the diamond is very important; the overall aesthetic has a huge influence on the desirability of used jewelry. Almost everyone knows what it’s like to be cash-strapped. This past decade has truly been an economic and emotional roller coaster in many respects. Contrary to popular belief, brokers can help you if you’re broke! In order to generate more business, pawnbrokers and a plethora of other gold and diamond buying businesses will offer free evaluations of your jewelry to determine what you can get on the free  market. While this may not be as in-depth as a professional appraiser it can help you with your selling strategy so that you can fetch the compensation you deserve. If you believe your diamond jewelry is worth less than $2500, it’s highly recommended to consider taking this approach. Even if you are not well-versed or lack connections to the jewelry selling industry, there are lots of basic rules of thumbs that can steer you in the right direction. Comparison window shopping is a very effective strategy, specifically when it includes storefronts and browser tabs. In other words, it’s important to compare the prices of diamond jewelry in local pawnshops and jewelry dealers and compare it to what’s being listed on websites such as eBay and Craigslist. This is because the pricing discrepancy between online and local used jewelry is constantly shifting. That old junk silver coins from pre-1965 could be worth selling! If you want to sell silver coins in New York or New Jersey you can bring them in for a free evaluation. Its easy to sell junk silver coins when dealing with Global gold and silver, our silver coin buyers are paying some of the highest prices in years. Have you been asking how or where to “sell my silver coins”, our certified silver coin buyers will evaluate all your junk silver coins for their melt value as well as numismatic value, all but guaranteeing the highest possible payout. Pre 1965 silver coins also known as junk silver are 90% pure, When you combine that with the fact that silver prices of never been higher – it adds up. We are the perfect place to sell silver dimes, sell silver quarters, and half dollars, bring a silver coin collection, proof sets and any old Morgan dollars you want to sell for a free evaluation at our New York or New Jersey location. Sell Silver Coins – and Get Cash! It’s easy to sell gold and silver coins at our New York and New Jersey locations. No appointment necessary but is recommended for large silver roll sets or silver junk coin collections. Our coin buyers have been paying the highest prices in years, bring yours for a free evaluation. If you’re wondering how selling silver quarters works, it’s simple. We weigh and pay with some exceptions for rare coins with mint marks and years of interest. Our silver coins payouts are calculated by using the days market price for silver – the London PM Fix price. Speak to our coin dealers today about selling your silver coins for the best prices in years. We are interested in silver roll’s as well as silver coin collection you may be thinking of selling. We also purchase silver proof sets, US Mint sets, foreign silver coins and peace dollars. There are many places you can sell junk silver coins but unlike the our competitors we focus on providing real accurate appraisals with the highest possible cash when you want to sell junk silver coins. We will take the time to go through your coins and make an educated offer. If you decide to sell your silver coins to us we will pay you on the spot in cash unless you prefer a check – bank wire is also available. We have been one of the best places to sell silver coins since 2008. Experience for yourself the difference in value when dealing with a reputable silver coin dealer. Call today for more information on selling your silver coins. Regardless of whether or not you own a large collection of jewelry, everyone is equally vulnerable to getting ripped off at some point. One of the biggest scams are counterfeit silver items that are circulating through the marketplace. These items appear to be silver and to the naked eye. Having a trained eye wont help because the steel jewelry is often coated in  a thin layer of silver plating. One of the most elementary ways to avoid getting ripped off as a gold buyer is diversification. By dealing with multiple persons and businesses you'll spread your risk. While this sounds like common send it's imperative to discuss as many first-timers often fall for various "up-sell" sales strategies. As with anything in life; it's crucial that you follow the basic rules; regardless of your skills or experience. While you may be strolling in the lower east side and see a tempting deal, it's critical that you deal with reputable dealers. If something seems too good to be true it probably is. It's important to treat it as a business. You should only deal with reputable  professionals who will give you the compensation you deserve. The notion that Gold Selling is for cash-strapped individuals is a tired cliche. While it's true that a large percentage of gold selling consumers  are upfront about their need to pay emergency expenses, just as many people are looking to profit from the gold jewelry business. This new trend is mainly an effect of the recently ramped up industry TV, radio, and online advertising. Shows such as "Storage Wars" makes these businesses seem especially elusive. A lot of jewelry has depreciated in value due to its design. For example, a dated 70's chain may fetch less money on today's marketplace than what it originally retailed for. In contrast, pure gold bars from the same era may have gained a lot of value. Buying and selling jewelry is a good strategy to avoid depreciation of jewelry due to aesthetic reasons. Selling gold online is a gold mine! Indeed, it's a very enticing prospect for webmasters, consumers, and jewelry buying companies alike. Gold selling sites omit the need for a gold or jewelry buyers to setup and maintain physical shop. The  costs and time consumption involved in rental agreements, licensing, and overhead expenses need not be mentioned! The power of web-based software, SEO, and social media marketing has created limitless possibilities for reaching and connecting the broader international  gold and jewelry selling marketplace. If you are looking to sell your gold or used jewelry online, you are in luck! 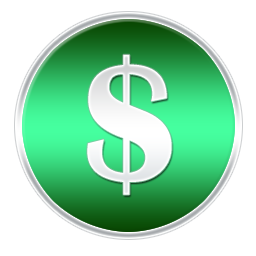 Many websites now accept Paypal or alternate payment processors as a means of payment. Many consumers and internet based businesses prefer using these payment processor websites due to a lowered likelihood of falling victim to scams or fraud. Consumers can also issue chargebacks if an item or service has not been delivered as promised. Some of the most reputable gold buying companies use escrow for payment. Such is evident in the case of our online jewelry selling sensation; Global Gold & Silver. The site's creators saw a void in the market for people selling their used jewelry online. As implied by the title, he was targeting newlyweds who have no experience in diamonds online. After all, with 50% of marriages ending up in divorce, millions of people will be looking to get rid of diamonds every year! If one is looking to get of their diamond, they simply need to visit the Global Gold & Silver website. Next, they will mail in the item they are looking to sell. It's that simple. While buying and selling jewelry online is a wonderfully convenient option, always check for alternatives. Jewelry trading parties are a great way to bypass the commissions and get a great deal on your unwanted gold or jewelry. Unlike diamonds, times of dirt cheap mortgages and excessive leveraged investment schemes certainly won’t last forever. It’s no wonder that hundreds of thousands of Americans seek to exchange their Diamond jewelry for cash on an annual basis. In addition to Diamond rings from divorces, it’s a common occurrence for families to sell their cherished heirloom antique jewelry. This is often a sacred right of passage passed on from mother to daughter. That old junk silver coins from pre-1965 could be worth selling! If you want to sell silver coins in New York or New Jersey you can bring them in for a free evaluation. Its easy to sell junk silver coins when dealing with Global gold and silver, our silver coin buyers are paying some of the highest prices in years. Regardless of whether or not you own a large collection of jewelry, everyone is equally vulnerable to getting ripped off at some point. One of the biggest scams are counterfeit silver items that are circulating through the marketplace. These items appear to be silver and to the naked eye. Having a trained eye wont help because the steel jewelry is often coated in a thin layer of silver plating. Selling gold online is a gold mine! Indeed, it's a very enticing prospect for webmasters, consumers, and jewelry buying companies alike. Gold selling sites omit the need for a gold or jewelry buyers to setup and maintain physical shop. The costs and time consumption involved in rental agreements, licensing, and overhead expenses need not be mentioned!